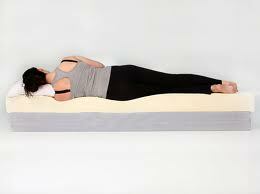 Lunarfurniture.com – Bed is the place where we spend almost one third of our daily hours for sleeping and some rests. It means that bed is the place where we spend the most of our time. Because of this reason, we must be careful if we want to choose the bed which we will use. The good bed will determine our sleeping quality, the good sleeping quality means we have good rest and fresh body when we wake up in the morning. Beside of the sleeping quality, bed also can affect the bone structure or development of child’s body. Those reasons tell us that bed has important role for our life and we must smart in choosing the bed. Here are some tips that we can use if we want to choose the good bed for our bedroom. · The first thing we must think about is the size of the bed. We must choose the right bed size for the height and the weight of the person who will sleep on it. The length and width of the bed must be suit for the person’s size. We also need to check the bed’s thickness. If the person’s weight is quite heavy, then we need to choose the thick bed. · The second thing you must check is the bed’s ability in adapting the room’s temperature. If the bed is tend to absorb the humidity, this kind of bed will give problem to your skin or even your health. You must ask about this characteristic to the bed seller. · The last thing we must consider is the density and elasticity of the bed. When we lay down our body, the bed will show us the elastic characteristic or not. If we feel comfortable with the bed, then our backbone will rest perfectly and we can sleep very well.